They found that a blood test given to people with depression can reliably predict which patients won’t respond to conventional, commonly prescribed antidepressants, and should instead get more aggressive treatment, such as a combination of medications. In a study of 140 people with depression, researchers examined their blood samples for two specific biomarkers: macrophage migration inhibitory factor and interleukin. They found that if these biomarkers exceeded certain thresholds, the person would require treatment beyond common prescriptions. Carmine Pariante, a psychiatry professor at King’s College in London, said a blood test would enable health care providers to skip past the usual process of trying a medication, then waiting weeks to see if it’s effective. “The identification of biomarkers that predict treatment response is crucial in reducing the social and economic burden of depression, and improving quality of life of patients,” he said. Depression is a huge public health issue. The U.S. Centers for Disease Control and Prevention says 7.6 percent of all Americans 12 and older have depression in any two-week period. It resulted in 8 million visits to emergency rooms, physicians’ offices and clinics per year, on average. And 13 of every 100,000 Americans killed themselves in 2013. The study, “Absolute Measurements of Macrophage Migration Inhibitory Factor and Interleukin-1-β mRNA Levels Accurately Predict Treatment Response in Depressed Patients,” was published in the International Journal of Neuropsychopharmacology. You can read about depression on the CDC website. You also can read the practice guidelines published by the American Psychiatric Association. Providence is committed to helping you achieve mental well-being as well as physical health. 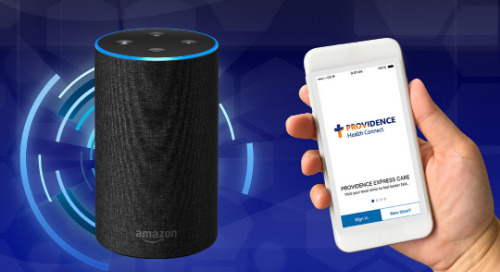 Providence Behavioral Health addresses the whole person with multidisciplinary treatment for the physical, spiritual, psychological and social dimensions of wellness. To find a Providence provider, consult our multistate directory.